I wanted to make sugar cookies for Christmas this year; with a unique flavour, decorated with Royal Icing. This is the recipe I came up with. My idea of Christmas spice is a blend of vanilla, cinnamon, nutmeg and cloves. It’s the blend I add to my Christmas biscuits too. I cut them into two different shapes and sold them at the Eco Elves Night Market. 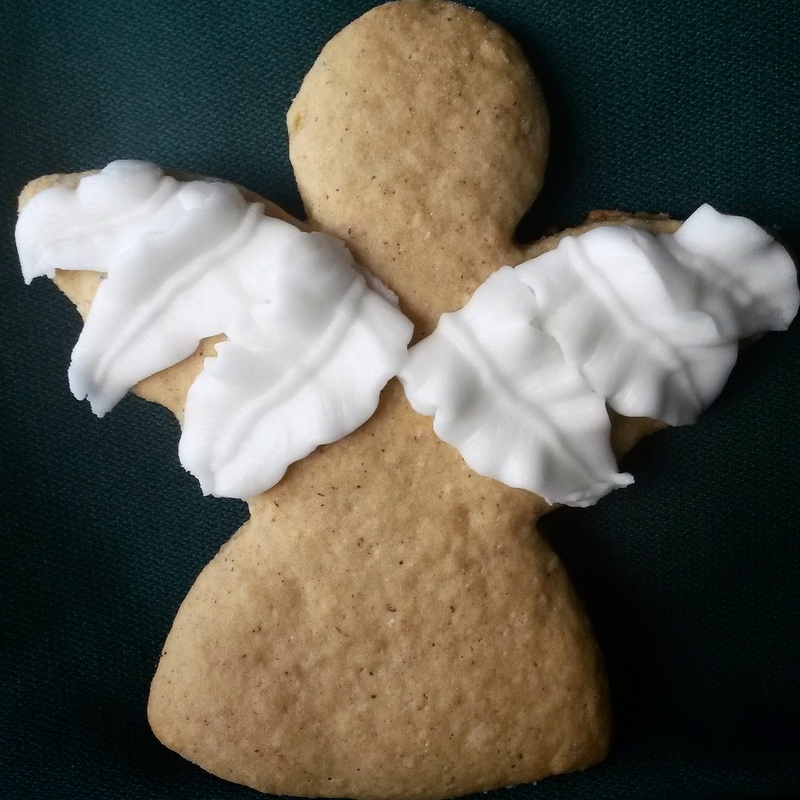 I made Santa bellies and angels. I thought they were both beautiful. You of course, can make them into whatever shapes you like. The trick to cutting them into shapes is to work with cold dough. Cream the butter, sugar, vanilla and spices till light and fluffy. Beat in the egg till mixed through. Add the milk alternatively with sifted flour and bi-carb. Mix to a soft dough. Cover and refrigerate for at least 30 minutes. I chilled mine overnight. Cut off a working portion of the dough and roll it to 3 mm thick. Cut into your chosen shape. Transfer to a lined baking tray and bake for about 10 minutes, or till just golden brown. Allow to cool a little before transferring to a wire rack. This entry was posted in Morning or afternoon tea, Snack and tagged biscuits, Christmas. Bookmark the permalink.